You know a great landscape design when you see one. It is perfectly laid out, well balanced and functional. Would you like the same for your yard? Then contact the team at Krefta Landscaping. We provide a full range of landscaping and hardscaping services throughout Eastern Massachusetts. Your ideas and goals matter to us. 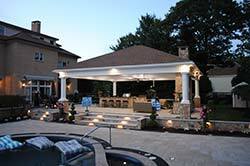 Our professional designers will sit down with you and work out what you desire from your outdoor environment. Our team listens and then uses the latest and most advanced landscape design software to give you innovative and creative designs. Feel free to collect ideas by cutting out pictures from magazines or perhaps browse our project gallery to see some of our unique creations. We want to know your wish list. Whether it is something as practical as rain water harvesting or as helpful as a heated driveway, our designers will guide you all the way through from planning and design to installation and maintenance. If you are looking for sustainable landscaping solutions or have environmental restrictions, we can assist you by conducting a site analysis and creating of a well thought out design that takes into account the conditions of your specific environment. The proper placement and selection of plantings and hardscape materials will be chosen to align with your environmentally-friendly goals, yet achieve a beautiful, balanced and stunning end product. Contact us today by calling 781-249-0012 or go to the Request a Consultation section of our website. We will send out one of our landscape designers to your property. Let us take all the stress and hassle out of your landscape project. Sit back and watch all your visions come to life. depending on site complexities and project requirements. 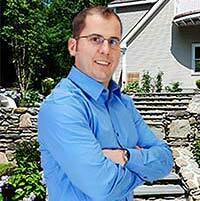 Edson founded Krefta Landscaping, Inc. in 2005. He brings over 30 years of experience in the landscaping business. As a boy he was responsible for selecting plantings for landscaping companies. His extensive industry experience and the sheer joy of working with his crew to create beautiful and functional environments moved him to start his own company. A company committed to outstanding customer service, honesty and quality workmanship. Edson is continually seeking new ways to improve project efficiency by researching and incorporating the latest industry best practices, new technologies and equipment. When he takes a break, he enjoys spending quality family time with his wife and daughter. One could say that moss does not grow on this one (well, unless he planted it). 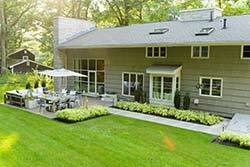 Holly Samuels is a Certified Landscape Designer working in the Metrowest Boston area. She did her training at the Landscape Institute at the Boston Architectural College. Her focus is on creating beautiful outdoor environments that encourage people to spend time outside enjoying nature in a landscape that supports healthy ecological function and environmental sustainability. 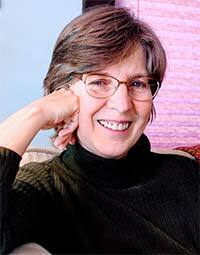 She serves on the board of the Association of Professional Landscape Designers, New England Chapter, and is also a member of the Ecological Landscaping Association, the New England Wildflower Society, and is a certified Massachusetts Master Gardener. She also serves as a volunteer Conservation Steward for the Town of Lexington where she spends her free time restoring a conservation near her home.